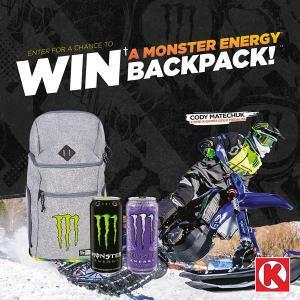 Contest: Enter to WIN one of TEN Monster backpacks! Prize: Two winners will be selected every week. What you must do to enter: Like and comment on the Circle K Atlantic contest post on facebook.